Cables: Arkana Physical Research Loom, Audio Art SE and Classic cable looms, JPS Labs Ultraconductor 2 speaker cables, Madison Audio Lab E3 Extreme 1 Interconnects/Extreme 2 speaker cables, Signal Cable Silver Reference interconnects and speaker cables, digital optical and coax cable, Audio Sensibility Impact SE balanced interconnects and USB digital cables, DH Lab Power Plus AC cable. KAT Audio display a good bit of tongue 'n cheek chutzpah with their naming of isolation footers. The Terminator series of isolation feet are the brainchild of respected UK designer Henry Wang who graduated from the Imperial College with an MSC in mechanical engineering. His decision to apply his scientific background in mechanical, material and structural design towards hifi challenges has produced some stellar benchmarks in the field of vibration control. One of his prior designs, the Weizhi Precision Golden Glory, has long been an in-house reference. Clearly Mr. Wang pursues the cutting edge. 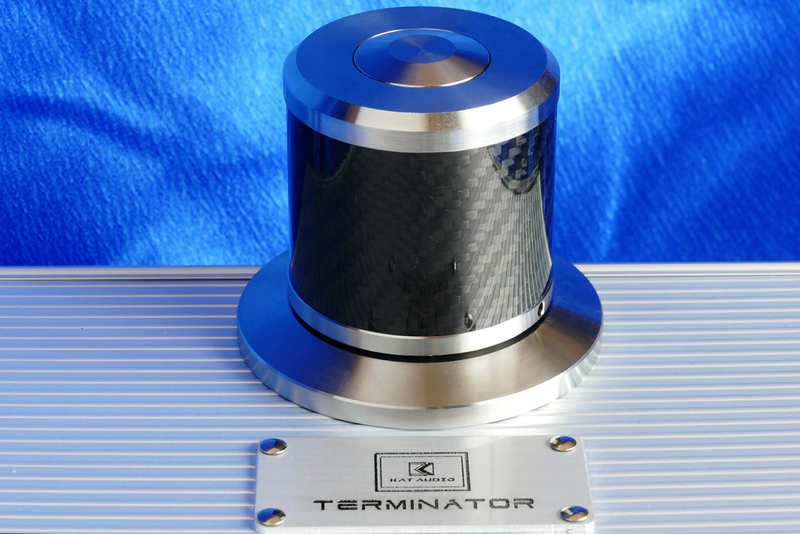 The new Terminator series under the Kat Audio brand marks fresh innovation from a veteran superstar in this sector. Resonance control management devices come under the header of accessories or tweaks. Yet a properly executed isolator can be universally beneficial in raising the performance of any audio component regardless of its cost or inherent structural integrity. They can be used in conjunction with a well-built rack or as a standalone support. They run the pricing gamut from inexpensive to extreme. KAT Audio enter the market at the very serious price level with a product which embodies intense engineering research executed with the highest-quality parts. The Terminator isolation feet are handcrafted in Great Britain and aimed at the upper high-end enthusiast who has both the financial means and quality of hardware to take full advantage of the abilities offered by these products. KAT Audio’s ambitious designs have started to gain some positive buzz and their authorized global distributor, Key Application Technology Co. Ltd, is in the process of building a worldwide network of agents. The Terminator 1 sits at the apex of their current line, with the Terminator 2 and 3 following in descending order below. The smaller Terminators employ fewer parts but do have the capacity to accept spikes. Due to its more advanced top-mounted vacuum chamber, the Terminator 1 will not. Kat Audio describe their top product as "the most complicated handmade isolator feet in the world" and the sheer intricacy and parts complement devoted to their effort appear to support that claim. The numbers are nothing short of staggering. 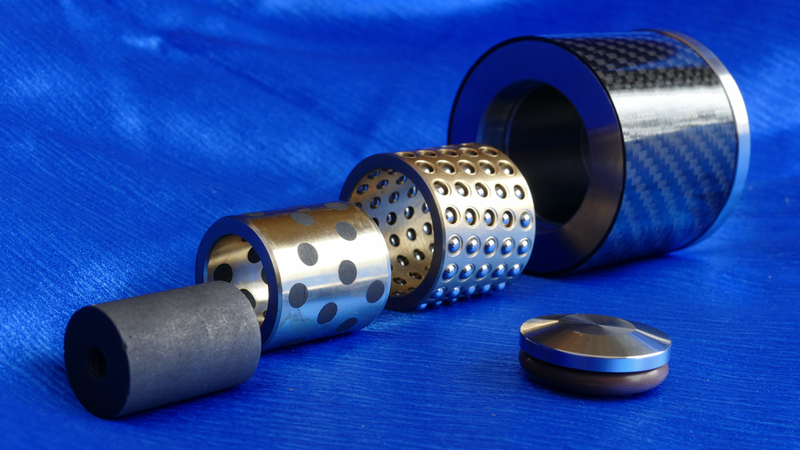 Each footer is comprised of 125 parts including 88 independent vibration-induced points, 25 graphitic anti-vibration columns, 10 different anti-vibration media, 4 sophisticated vibration-proof functions and two interchangeable graphite/Teflon center tuning columns. 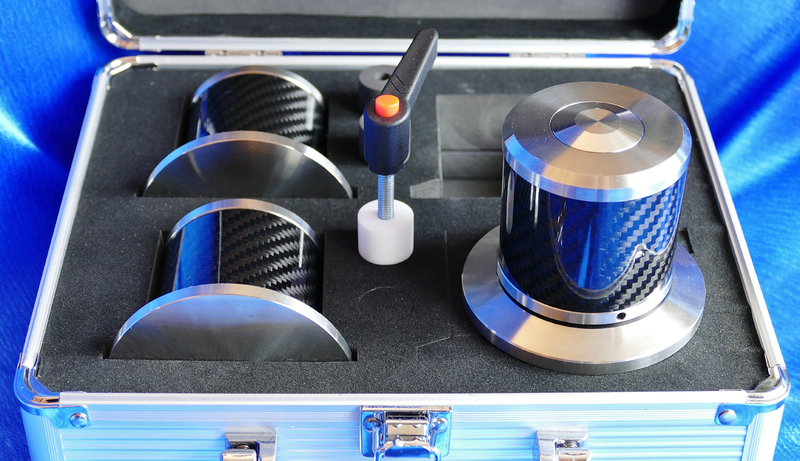 All of it is housed in thick high-grade stainless steel and clothed in a smart Toray M60J carbon fiber wrap. The parts and materials show KAT Audio’s commitment to cost-no-object construction. Think SUS 316L stainless steel, Furakawa EFTEC special copper alloy, isotropic special graphite, grade 5 ceramic and grade 10 steel ball bearings. The hardware numbers packed into these feet dictate that they will be larger in size. With robust dimensions of 61mm Ø and 71mm height for the main column atop its 81mm Ø base and weighing 1.5kg each, this precludes smaller lightweight hardware. Your equipment rack must also accommodate those regal proportions with adequate shelf spacing. These Terminators are seriously sized and meant for heavyweight luxury components. The Kat Audio Terminator 1 arrived in a sturdy double-thickness cardboard box. Like the product itself, there was multi-stage protection. Inside the box, the package was protected by Styrofoam end caps surrounding a secondary cardboard container. Within that enclosed in bubble wrap was a pro-style travel case with each foot and accessory snuggly positioned in separate custom-contoured recesses inside a thick bed of high-density foam. The review set were three feet, three graphite columns already mounted, three Teflon alternates in the box, a threaded removal tool for the columns and diagram instructions. Extreme high-end is all about god, the devil and them details so KAT Audio made sure that their storage presentation reflects that fact. Operational theory is considerably more complex than most, utilizing a cascaded system of tuned transmission (directing energy away) and absorption (controlled catch and release) to deal with the bulk of resonant behaviour. 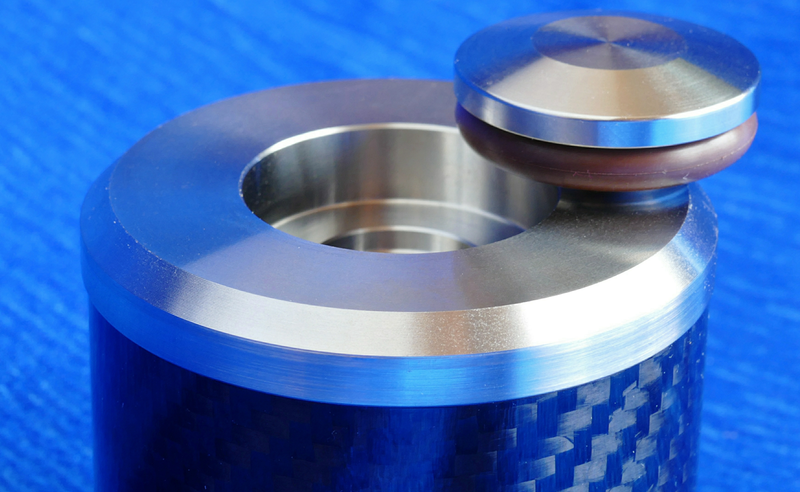 Whilst this technique of internalizing unwanted resonance is common to elastomeric solutions, it is unusual to see it applied in a bearing/graphite design. The first question I sent Mr. Wang was the most basic.